In 1989, Disney’s MGM Studios opened to the delight of millions of fans who were happy to celebrate the addition of a third theme park at Walt Disney World in Florida. The park has seen lots of changes over the almost 30 years since it opened—not the least of which was a name change from Disney’s MGM Studios to Disney’s Hollywood Studios, effective January 7, 2008. Star Wars has a huge presence in the park, and Toy Story Land opened in June of this year after several years of construction. 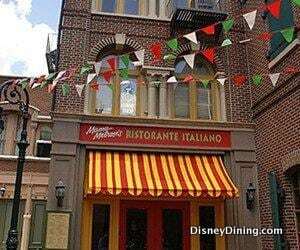 Aside from a galaxy far, far away, Woody and friends and the Golden Age of Hollywood, Disney’s Hollywood Studios is also known for its many restaurants—some that are among Guests’ most favorite venues at Disney World, as evidenced by the difficulty in securing a reservation. Hungry at Hollywood? Here’s a quick overview of the park’s table-service dining options. 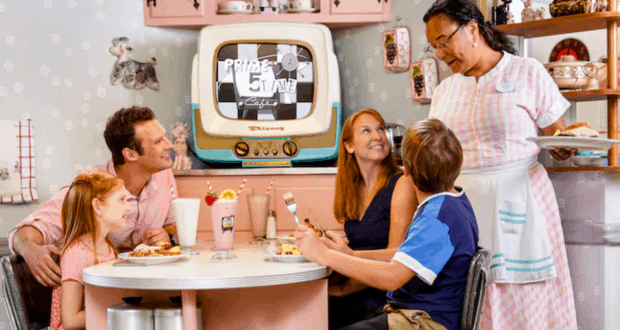 Step back in time to the 1950s era when television was a brand-new concept and the sitcom was the up-and-coming choice in family entertainment. 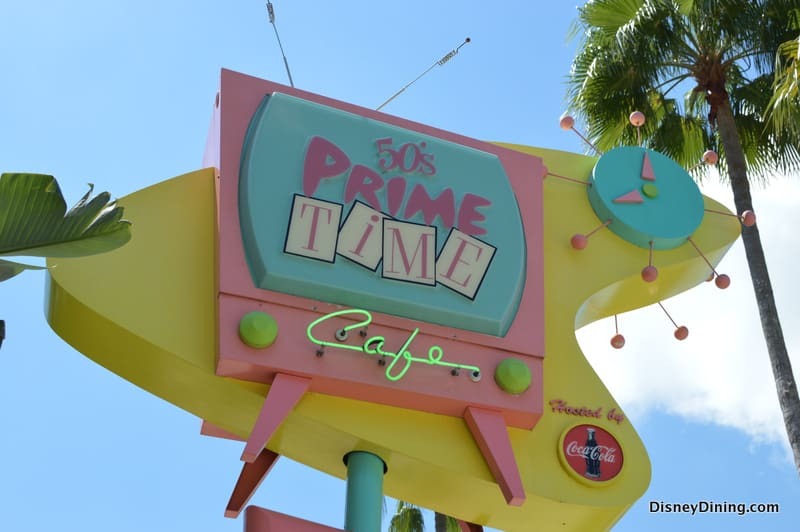 Disney’s 50s Prime Time Café welcomes Guests with its huge plates of American comfort food. The restaurant specializes in entrees Mom used to make like pot roast, meatloaf, fried chicken, mashed potatoes and vegetables. Prime Time Café gets bonus points for its Peanut Butter and Jelly Milkshake and for its theming. You’ll want to make a reservation up to 180 days in advance of your visit so you’re guaranteed a spot when Mom calls you to the table. Once you enter the restaurant, you’ll check in at the host desk and wait for your party to be called. When it’s your turn, a server will announce that Mom is calling the (insert last name here) family. You’ll be seated at 1950s-era tables surrounded by all the comforts of a kitchen of that time. Televisions play clips from famous sitcoms from that time, and you always refer to your server as “aunt.” The “performances” by the servers are as much fun as the food is good, and if you don’t eat your vegetables, you might just be put in the corner. Call (407) WDW-DINE or access the My Disney Experience app to make your reservation. 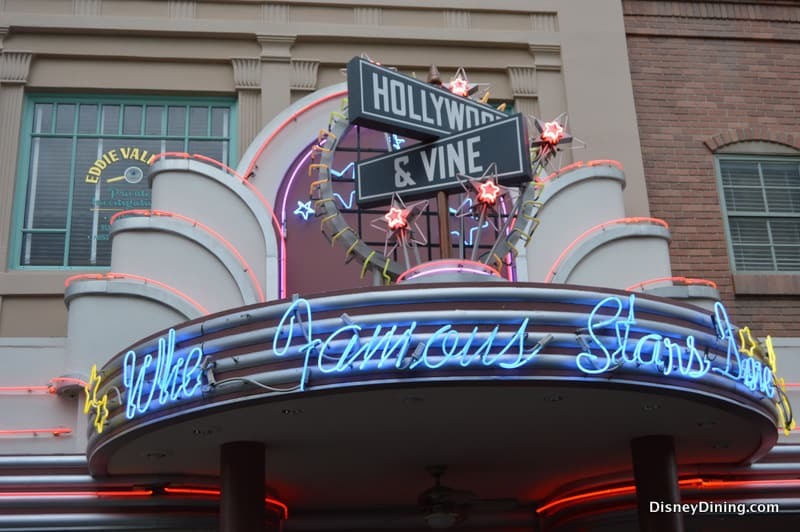 This venue is considered a table-service restaurant at Hollywood Studios, but it’s more of a lounge. Choose to eat inside or take a seat on the outdoor terrace while you take in all the hustle and bustle of the Grand Avenue area of the park and dine on small bites and appetizers. 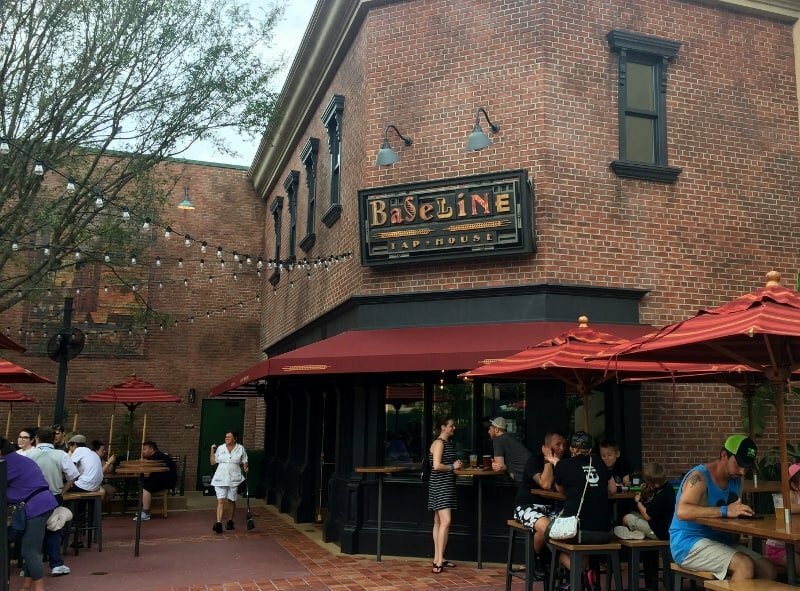 The Baseline Tap House is best known for its huge selection of craft ales, lagers and cider from California. Enjoy a Bavarian pretzel with mustard and beer-cheese fondue or a charcuterie board of California cheeses. The theming pays homage to the Figueroa Printing Company, which was a small mom-and-pop operation that once enjoyed a great business relationship with Walt Disney Studios. 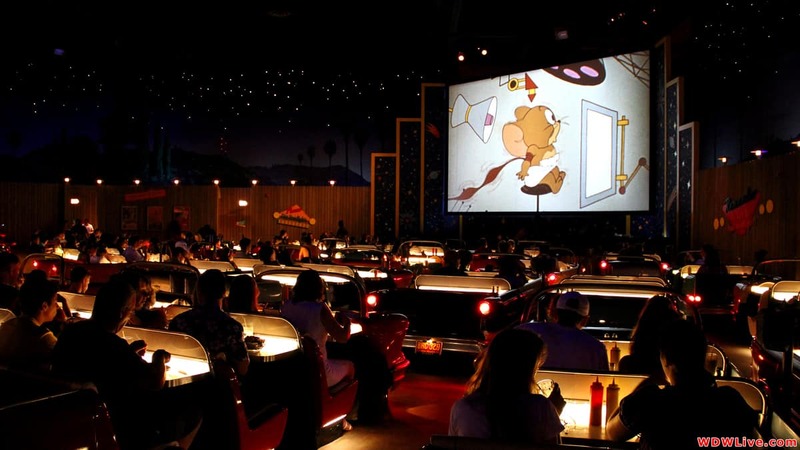 If you grew up in the era of the drive-in theater, you’ll especially appreciate the Sci-Fi Drive-In Theater Restaurant. Advance reservations are a must. The experience is not one to be missed—the food is every bit as good as the atmosphere and vice versa. All kinds of classic American favorites await you, including fresh salads, huge burgers, fried pickles and house-made candy bars. Enjoy all of them in your “automobooth,” which looks just like a vehicle, but with rows and tables inside them where Guests dine. You’ll enjoy clips from science fiction cartoons, movies and commercials while you eat. The huge screen in front of you and the stars all around will make you believe you’ve stepped back in time. Don’t show up without a reservation—you’ll almost certainly be disappointed. But make your reservation in advance to enjoy the Sci-Fi Drive-In Theater Restaurant, and you’ll absolutely be delighted! 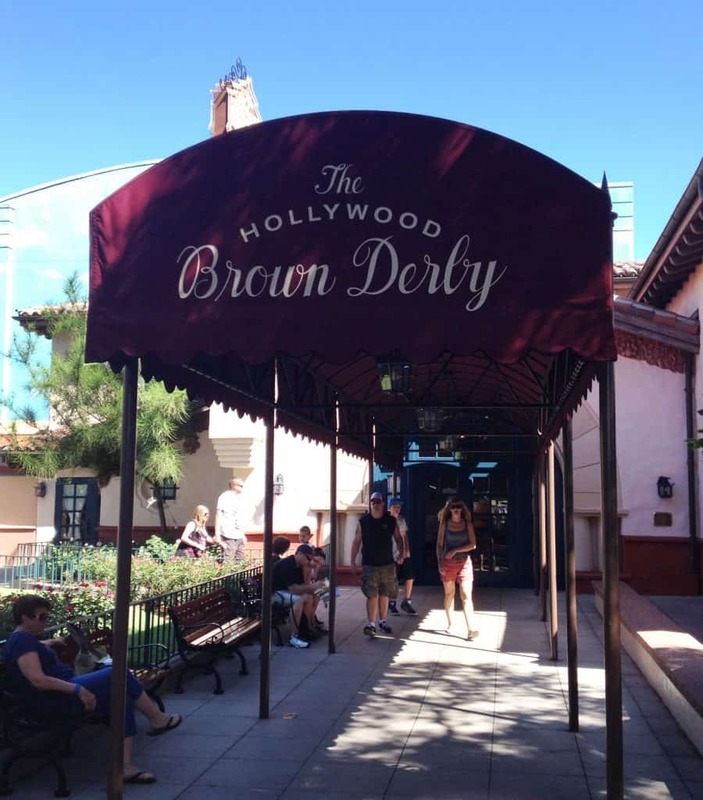 Contemporary American cuisine is on the menu at the Hollywood Brown Derby. Book a dining reservation here and enjoy eating in an authentic replica of the famous Brown Derby of Tinseltown. The wood paneling inside the restaurant gives it a sophisticated feel, while the caricatures of famous people (just like in the original Brown Derby restaurant) remind Guests of the Golden Age of Hollywood from days gone by. Specialties of the house include pork chops, filet of beef and a Yukon Gold potato cake. Try the famous Cobb salad that uses the exact same recipe that the owner of the Hollywood Brown Derby, Bob Cobb, used when he first created the legendary salad. For dessert, try the Brown Derby Dessert Trio, which includes miniature versions of your choice of 3 different desserts. Or sample the famous grapefruit cake. You can’t go wrong unless you don’t make an advance dining reservation.